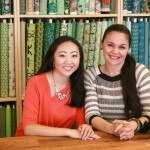 The party’s not over for FreeSpirit Fabrics until, well – Jaftex Corporation announces that it’s buying the company! 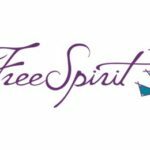 Message from FreeSpirit website: We are certain you have heard the news. Please forgive us for delayed communication, but our first priority has been to support our employees and designers. 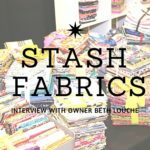 Recently, Sewing Report caught up with entrepreneur Beth Louche – owner of Stash Fabrics of Alpharetta, GA. Sporting a spunky ponytail, a cozy knit sweater, and a cup of coffee – Craft South owner Anna Maria Horner cheerfully greets us as she enters the shop.